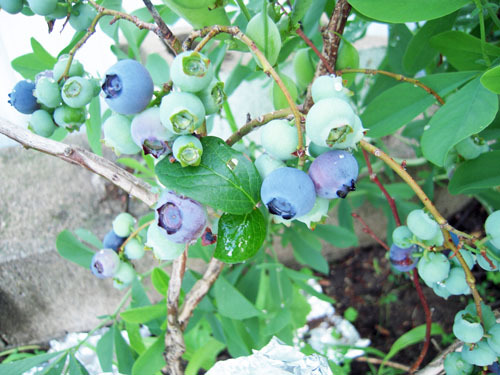 This year, we thought it might be a good idea to take advantage of the sandy soil up here and grow our own blueberries. We planted three different varieties; the first one blooms in late June, the second in early July and the last blooms in August, giving us a steady supply of fresh berries for breakfast every morning. No doubt, the addition of these blueberry bushes has remarkably cut our travel expenses this summer… if you know what I mean. Will There Be Enough Wooden Clothespins? What Are You Doing In My Pantry? ~yum… I haven’t had much luck with blueberries in my yard, and I missed the opportunity to hike for them locally, so enjoy a few for me!